It is sometimes said that there are 3 levels of Aikido practice – fixed practice, free practice and creative practice. However, there are also times when Aiki applications just seem to create themselves. And so it was with the below application. 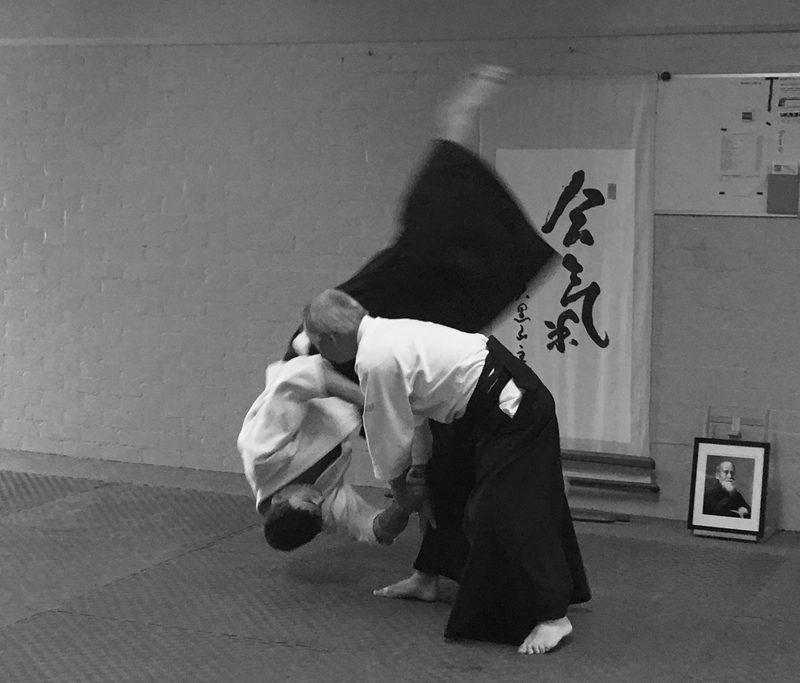 An accidental backward trip over a hakama during ushiro practice resulted in a spontaneous sutemi waza (sacrifice throw) response. Before you knew, we were recreating the movement and practising a new form of Aiki application (at least for our dojo). 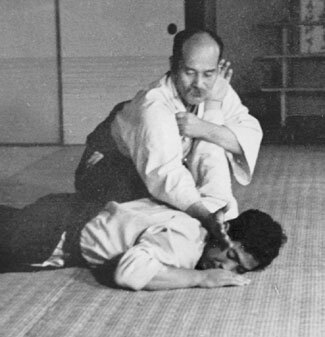 Suwari waza (sometimes referred to as Zagi waza) is a form of Aikido practice performed from the initial position of nage and uke sitting opposite and facing each other while kneeling (seiza). 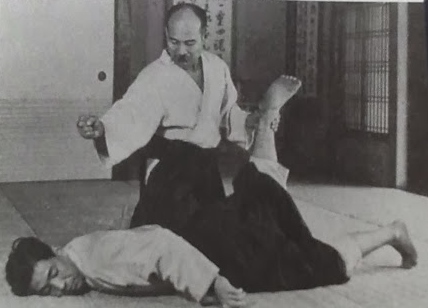 In the below video Takeda Satoshi Sensei (7th Dan AKI Aikikai) demonstrates the application of Aiki principles for Suwari waza where the uke strikes the temple of the nage. This form of traditional attack is referred to as shomenuchi. 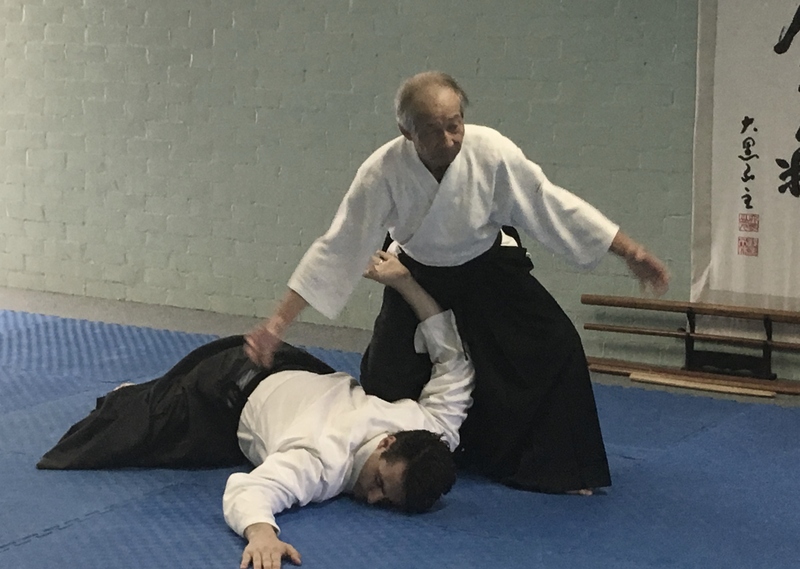 As Sensei is exploring responses from Suwari waza shomenuchi from a purely Aiki perspective, there is no predetermined outcome or pin as occurs when practising purely syllabus based Aikido. The focus is on principle, with particular emphasis on not meeting an attack with physical resistance. 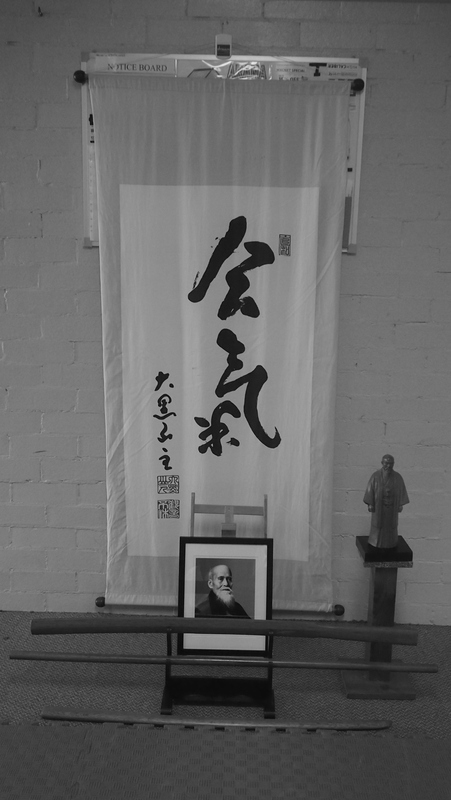 The above video was recorded at our dojo on 25 November 2017 as part of a special class by Takeda Satoshi Sensei during his 2017 visit to Australia. Opposite side one-hand hold wrist grabs are typically one of the first “attack” types taught to new students of Aikido. The reason for this is that the less aggressive nature of the attack (compared to say a strike) allows the nage (i.e. the receiver of the attack) to more readily focus on such things as correct footwork, moving around the point of contact, basic balance breaking principles, correct posture and movement, maintaining centre and getting off-line. As we move to Aiki studies, however, the cross hand grab needs to be considered in the context of a more “real world” martial setting. Specifically, the grab itself is treated as nothing more than a precursor or set up for a follow through strike to the head or body. 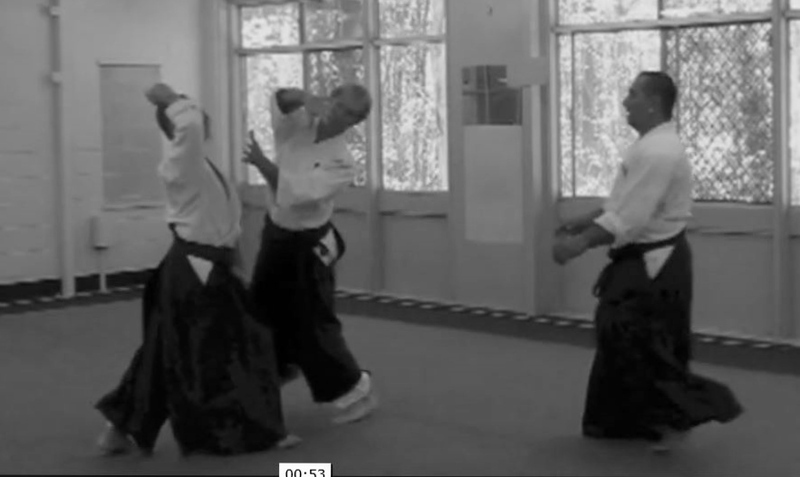 In the below video Takeda Satoshi Shihan (7th Dan AKI Aikkai) provides instruction for dealing with a cross-hand grab from a purely Aiki perspective. 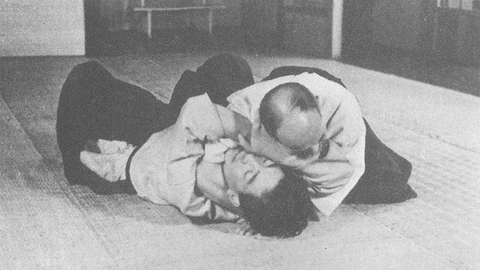 As is typical in Aiki studies the emphasis is on principles with spontaneous creation of technique rather than a predetermined Aikido outcomes. 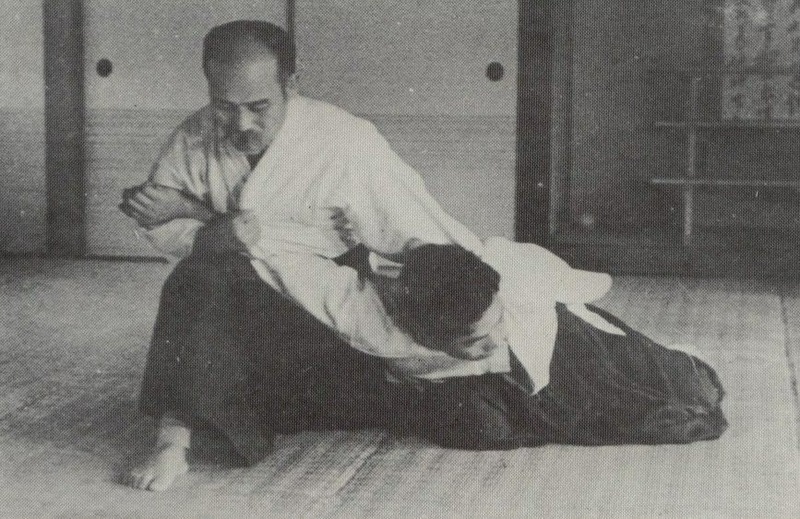 Training with 2 person attacks (Futari dori) is a common form of Aikido practice. There are numerous syllabus techniques that can be practiced in these circumstances depending on the nature and the type of attack. Typically beginners practice with the ukes statically holding each arm under resistance. As we progress to Aiki practice, formal syllabus technique is replaced with more free flowing and spontaneous responses. The emphasis is on Aiki principles rather than defined outcomes. Understanding the sword principles that underpin the movement. Our dojo is an Aikido Kenkyukai Fudoshin dojo operating under the guidance and mentorship of Chicko Xerri Sensei, 6th dan AKI (Aikikai), Tokyo. 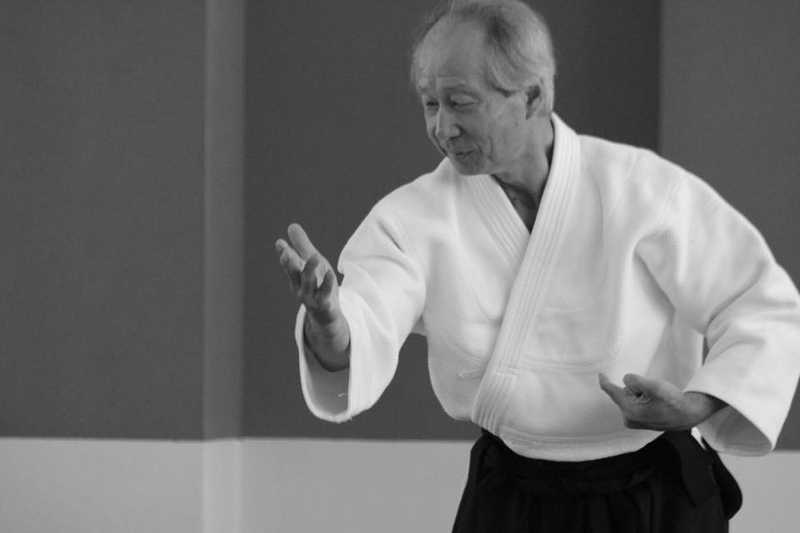 Chicko Sensei has been practising and teaching Aikido for more than 45 years and is endorsed by Doshu Ueshiba.